WOW; LARGE and PRIVATE LOT and lots of UPGRADES in this practically NEW home built by LANDON HOMES in 2018. Floor plan features unique split design, allowing the master bedroom to feel secluded and guests the freedom to roam and enjoy privacy of their own. 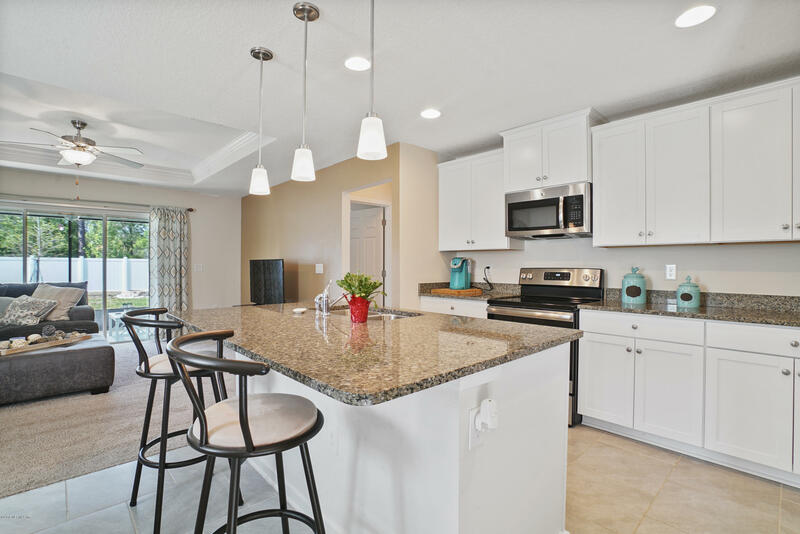 Upgraded kitchen with on trend white cabinetry complete with trim, large kitchen island w/granite counter top perfect for casual dining, stainless appliances and backsplash. Open concept living space gives plenty of options for seating in the breakfast nook and entertaining in the adjacent family room. Trey ceiling accent. Upgraded, screened lanai, w/triple slider access -enjoy the Florida weather and the preserve views out back. Master Bedroom with ensuite bath featuring walk in shower, upgraded height dual vanity and walk-in closet.